A personal care/private duty homecare agency provides services that do not require a licensed professional or a physician's prescription. A homecare worker can help a person with activities of daily living (ADLs) like remembering to take medications, preparing meals, transferring from a chair, toilet or bed, bathing, getting dressed, light housekeeping or transportation to and from doctor's appointments. 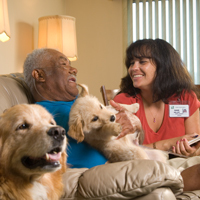 A homecare worker can also provide companionship to an older adult or an adult with a disability - engaging in a favorite hobby, watching movies or simply conversing about their past or the events of the day. What's the cost and is it covered? This type of homecare is not covered by Medicare and is usually paid for by the consumer. However, there are two government-funded programs that can help. The Medicaid Aging Waiver and the lottery-funded OPTIONS program may pay for this care for eligible individuals. Services provided by personal care/private duty homecare agencies are sometimes referred to as custodial care, assistance with activities of daily living (ADL) tasks or instrumental activities of daily living (IADL) tasks. If the person requiring care has long-term care insurance, homecare services may be covered. Call the insurance provider to find out. If the person requiring care is an older adult who you are assisting, you might qualify for the Pennsylvania Caregiver Support Program offered by the local Area Agency on Aging. Click here to find your local Area Agency on Aging. Some agencies are franchises, while others are independently owned. You will also find that some home health agencies also offer this type of personal care. The Pennsylvania Homecare Association website includes a "Find a Provider" feature where you can search for an agency by location or by the services you need. 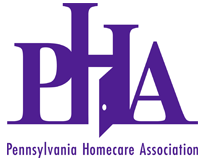 Personal care/private duty homecare agencies are licensed by the Pennsylvania Department of Health. You can search for an agency near you by visiting their website. Be sure to find out whether the agency you use actually employs the caregiver or if it is a registry. A registry will refer, match or place a worker in your home, but the worker is not an employee of the agency. May I see a sample service agreement and a listing of your prices? How do you supervise and oversee the care provided by your caregivers? Are your services covered by long-term care insurance and will you process the paperwork? Are the caregivers your employees or are you a referral agency (a registry)? What type of training do your employees receive when they're hired? Do you provide ongoing training? Please describe it. How long have most of your employees worked for you? What is the background of your average caregiver (i.e. homemaker, certified nurse aide, high school graduate, retiree)? How do you ensure that the caregiver and the person receiving care will be compatible? What happens if the caregiver doesn't show up? Please describe how workers have been trained to communicate with people who have cognitive (thinking) disabilities such as dementia. If you provide transportation, have you checked out your caregivers' driving records? What kind of weekly (or daily) report will I receive? Can you put me in touch with someone who has used your services? Have you received any type of national accreditation?